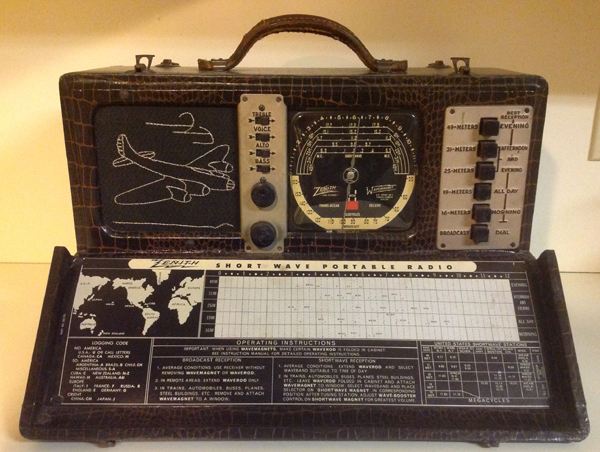 Zenith Model 7G605, the first in the line of Trans-Oceanic radios. Many thanks to SWLing Post reader, Paul, who points out this excellent article about the Zenith Transoceanic by Paul Litwinovich of WSHU. Litwinovich’s article covers a brief history of the Zenith Transoceanic series including photos from his amazing collection (check out his model 7G605 above). By the way, we’ve mentioned Paul before here on the SWLing Post–I would encourage you to bookmark his excellent article thread on WSHU’s website. This entry was posted in Articles, News, Nostalgia, Radio History, Radios and tagged Paul Litwinovich, WSHU, Zenith, Zenith Transoceanic, Zenith Transoceanic 7G605 on March 29, 2015 by Thomas.